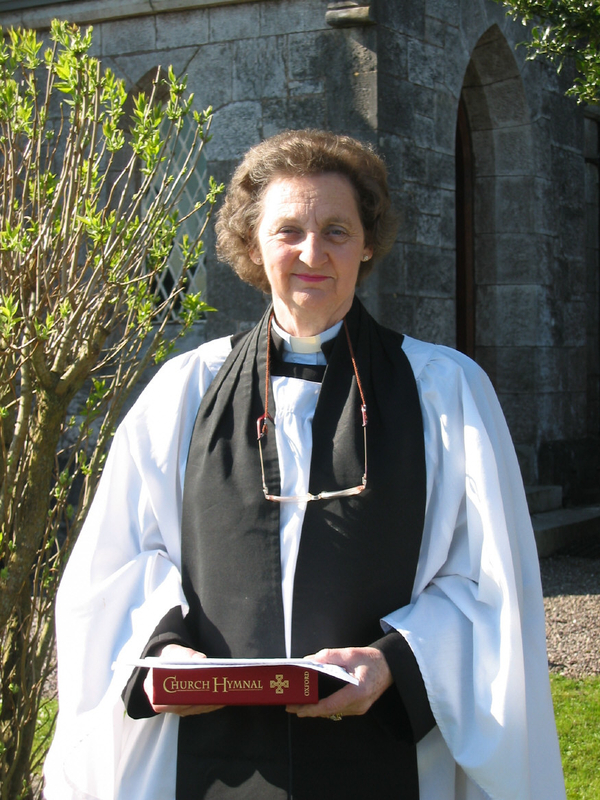 We, in Cork, Cloyne and Ross, are very sad to learn of the death on Sunday, 18th May, of the Reverend Avril Dawson Kingston, of Glencairn, County Waterford. Following her retirement from the auxiliary ministry, Avril continued to hold the Bishop’s Permission to Officiate in the United Dioceses. The Reverend Avril Kingston (born in 1934) was made deacon in 1994 and ordained priest in 1995. She served in the auxiliary ministry, mainly in the south city parish of Douglas Union with Frankfield. This involved lots of travel, willingly undertaken, from her home on the Cork – Waterford border at the north-eastern extremity of the Diocese. Avril also helped in other parishes when needed, including notably in the Parishes of Fermoy Union. Avril’s ministry was faithful, committed and generous. It was hugely appreciated by the people of Douglas Union with Frankfield, as well as in the other parishes where she assisted from time to time, including Fermoy Union, and in the Cathedral parish of the neighbouring Diocese of Lismore, close to her home. I give thanks personally for her prayerful and thoughtful ministry, and her unfailing gentleness and kindness to those she met. This entry was posted in Announcements, Clergy, Diocese, People from the Diocese. Bookmark the permalink.